Impacts of climate change and climate variability are expected to be more severe of which mitigation and adaptation are not sufficicent to address posed loss and damage. Formulation of international mechanism to address the loss and damage has been pushed forward lately. 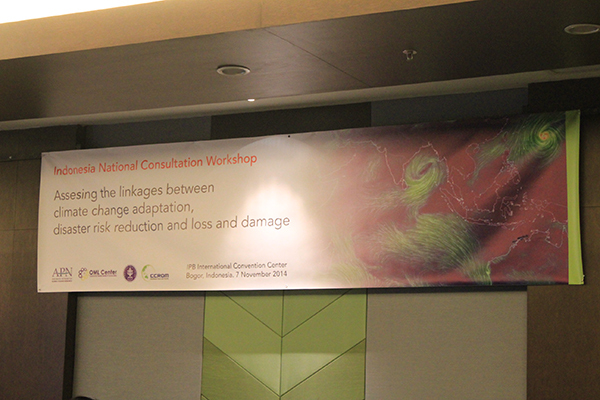 On 7 November 2014 Center for climate risk and opportunity management (CCROM) hosted a national expert consultation in Indonesia to discuss about this issue. 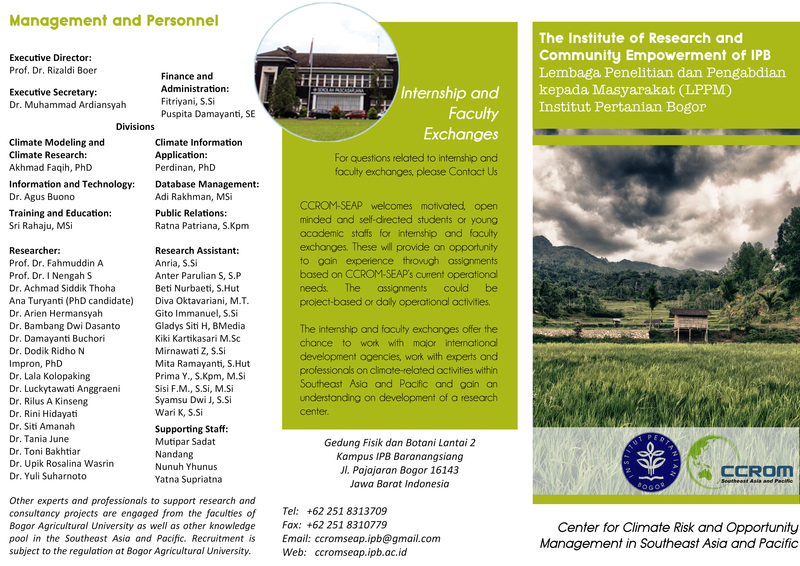 This activity is part of a regional project entitled “Assessing the linkages between climate change adaptatioin, disaster risk reduction and loss and damage in low lying coastal cities of Cambodia, Indonesia, Philippines, Thailand and VietNam”. 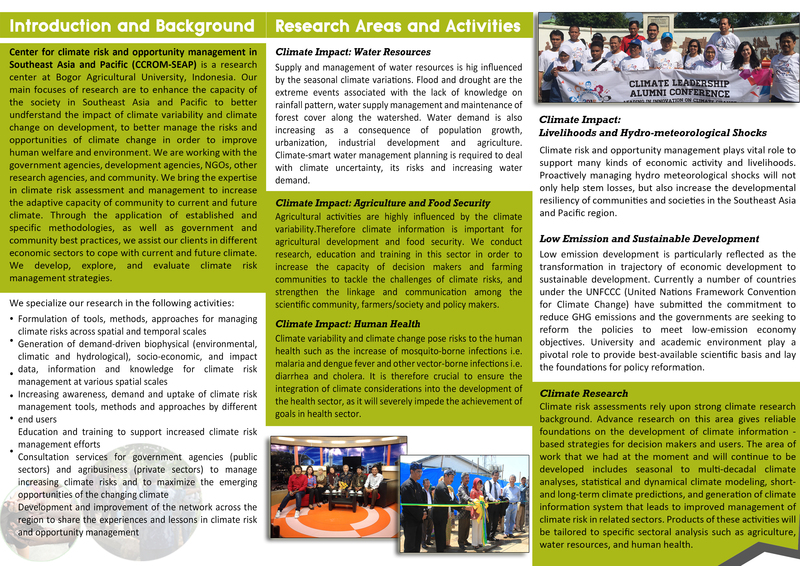 The project is led by OML Center Philippines and funded by Asia Pacific Network for Global Change Research (APN).